Talk about an inspired choice. Time magazine has unveiled its “Persons of the Year.” The lead “person of the year” is none other than Saudi journalist Jamal Khashoggi, the U.S. resident who was tortured and killed by his countrymen in the Saudi consulate in Istanbul, Turkey. Because he gave his life reporting on and commenting on the issue of free political expression, Khashoggi has joined a group of other journalists to earn the honor bestowed by Time on those who had the most impact on the world — for better or worse. 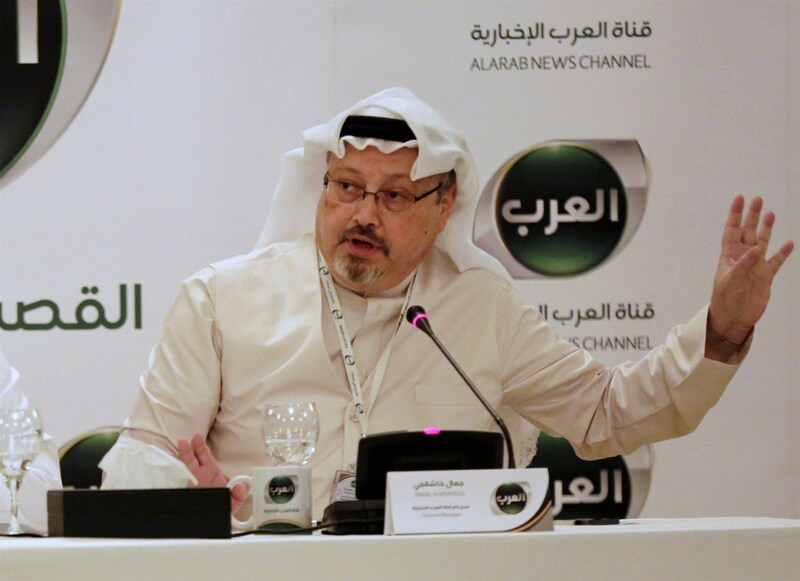 Khashoggi, who’s been in the news quite a bit of late, has become the face and the voice of persecuted journalists around the world. They are “The Guardians” saluted by Time. Oh, there are others worth recognizing, too. Such as the five employees of The Capital in Annapolis, Md., who were gunned down by a madman. Gerald Fischman, Rob Hiaasen, John McNamara, Rebecca Smith and Wendi Winters also are the faces of persecuted journalists. The editor of the Capital made it clear that “We’re going to publish a newspaper” the next day. So they did. They carried on in memory of their slain colleagues. Nguyen Ngoc Nhu Quyhn, a Vietnamese blogger, has been calling out her government’s repression of human rights. She goes by the pen name of Mother Mushroom. She was taken captive and sentenced to 10 years in prison. However, this brave woman of letters was released. She, too, is the face and the voice of persecuted journalists. Time magazine has held up the cudgel for journalists who seek to report on the affairs of the world, their communities and to tell the truth. They aren’t enemies of any people, although it is clear that Jamal Khashoggi was the enemy of the autocratic government that had him tortured and murdered. The CIA has put the finger on Saudi crown prince Mohammad bin Salman, who denies it. Donald Trump has sided with the prince and has disrespected the work of the CIA. I am going to stand with Time magazine and with the men and women who have fought for — and died for — the cause of reporting the truth to their audience. Well, what do you know about that? U.S. senators have heard from the CIA director herself about what the spy agency has concluded about the conduct of our key Middle East “ally” involving the gruesome murder of a U.S. resident and journalist. The senators, Republicans and Democrats alike, are siding with CIA Director Gina Haspel’s view that Saudi Arabia’s crown prince, Mohammad bin Salman, ordered the murder of Jamal Khashoggi. Haspel actually has heard the recording that purports to depict Khashoggi’s death screams while he was being murdered and allegedly dismembered by his Saudi captors. GOP senators who heretofore had become Donald Trump’s strongest allies now are siding with Haspel and her agency and against Trump, who is trying to give the crown prince the benefit of the doubt. The president says bin Salman “might or might not” be culpable. The president, who has said he relies on his “gut” more than he relies on “other people’s brains,” is taking the prince’s side because the Saudis do so much business with the United States, buying jets and other weapons they use against terrorists and their terror-nation sponsors. Khashoggi’s life? It’s not nearly as important as those deals, according to Trump. I’m done going soft on Trump. The president is in growing trouble politically. The special counsel might be closing in on Trump in his meticulous probe into the “Russia thing.” Meanwhile, the president continues to demonstrate his hideous blind spot as it regards despots and authoritarian regimes. He does so even at the expense — to his great discredit — of the intelligence agencies and their leaders who take essentially the same oath that the president does: to defend the United States of America. Those agencies are doing their job. The president, it pains me to say it, is not. I am going to concur with Paul Begala, a former Bill Clinton political confidant and pal, who says national security adviser John Bolton has shown himself to be a coward. Yes, Begala is a partisan. For that matter, I suppose you can argue that I am, too. Sure, I lean in the same direction as Begala, but I’ve never worked for politicians. Begala is angry that Bolton has chosen to avoid listening to the recording of slain U.S.-based journalist Jamal Khashoggi being slaughtered by his Saudi Arabian captors, who killed him in the Saudi consulate in Istanbul, Turkey. Bolton didn’t want to hear that. Nor did he want to ask an interpreter to translate it for him. He said he could “read a transcript” if he could find an Arabic speaker to listen to it. Bolton’s crass and callous response defies human decency, in my humble view. He is the national security adviser, for crying out loud! He needs to hear the screams of a journalist based in Washington, D.C., a Saudi national and a champion of political dissent. He had the temerity to insist on reforms in the land of his birth . . . and this is the response reportedly from the crown prince who allegedly ordered the man’s murder. 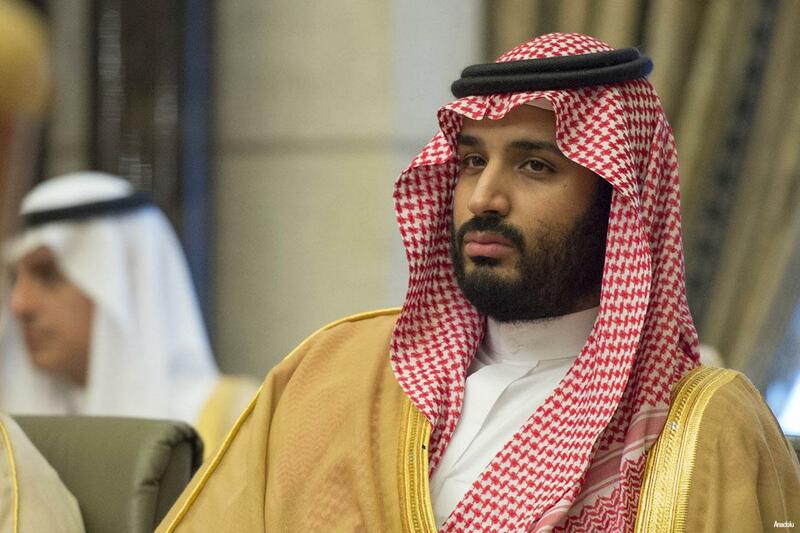 The CIA has determined that Crown Prince Mohammad bin Salman ordered Khashoggi’s murder. The president has blown that assessment off. 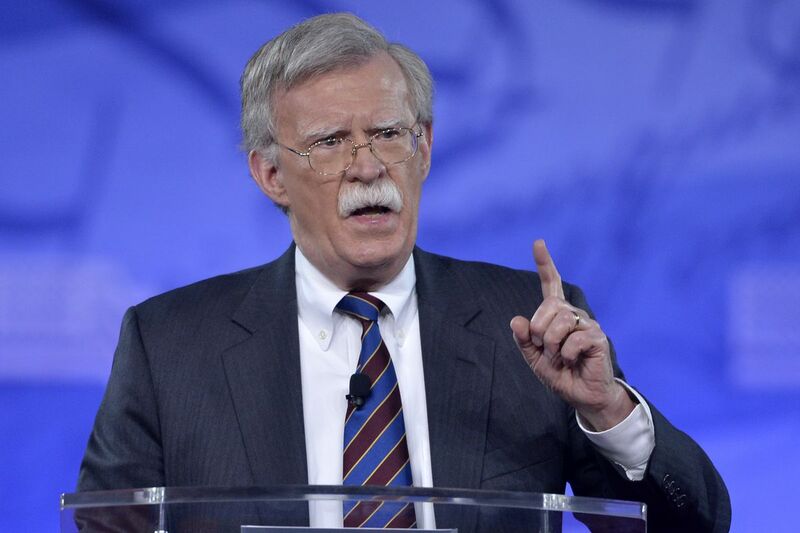 So, too, I guess has John Bolton, choosing to join Donald Trump in the hideous game of disparaging the nation’s intelligence experts. Energy prices up, then down, then up . . .
Donald Trump is cheering the drop in oil prices. So am I. I don’t like paying more for gasoline than I can afford. So, I am enjoying watching the price of crude take a tumble. But wait a second! Didn’t the president come into office declaring his intention to shore up the fossil fuel industry? He tossed some of the environmental regulations approved during the Obama administration, claiming they hurt drillers’ ability to explore for oil. The other thing that hurt drillers was, um, the price of oil. Back when it was around $100 per barrel, pump jacks all over Texas and the rest of the Oil Patch that had gone silent when the prices fell were restarted. They began pumping the “Texas Tea” out of the ground. Oil prices getting lower. Great! Like a big Tax Cut for America and the World. Enjoy! $54, was just $82. Thank you Saudi Arabia, but let’s go lower! His Pennsylvania Avenue cheering section seems to suggest now that he wants the price to keep falling. A lot of West Texas wildcatters are unhappy with the trend. They don’t want to see it continue. They want it to go the other way. I happen to hope it doesn’t, just like the president. But why didn’t the president say anything in that tweet about developing alternative energy sources? President Obama made quite a push to do so during his two terms in office. The result was that we became effectively “energy independent.” The U.S. of A. became the world’s leading oil producer. Meanwhile, we invested in wind, solar and hydropower to take the burden off those wildcatters and Big Oil to keep producing. Which is it now? Are we going to cheer the plunging oil prices or wish them to increase? Donald Trump, per usual, is sending a mixed — or perhaps confused — message to the world. And of course, the bouquet the president tossed to Saudi Arabia — in light of his hideous acceptance of the Saudis’ denial in the murder of a U.S.-based journalist — sends another chilling message altogether. More on that one to come. Donald John Trump has a limitless array of weapons that he uses — against our own nation’s intelligence experts! He deployed some of them again today by undercutting the CIA’s assessment that Saudi Crown Prince Mohammad bin Salman ordered the ghastly murder of Saudi journalist Jamal Khashoggi in the Saudi consulate in Istanbul, Turkey. Trump said in a highly unusual statement that he won’t take any action against the government of Saudi Arabia, despite what the CIA analysis has concluded. That’s right. He sides with another authoritarian leader, taking his word over the learned view expressed by some of the finest intelligence experts in the world. I suppose the president had that $110 billion order for jet fighters that Saudi Arabia has placed with the Defense Department on his mind, too. To be sure, the president called Khashoggi’s murder “terrible” and said it is an action that our country “does not condone.” He stopped short of joining the CIA assessment of the crown prince’s involvement. Now, a word about the CIA and its current leadership. Gina Haspel, a career spook and a former deep-cover agent, is Trump’s appointed CIA director. She is a highly trained professional who has spent her entire professional life working to protect this country against its enemies. Yes, she had some issues for which she had to answer when she was confirmed by the U.S. Senate, but I do not doubt her skill or her management ability in running the agency. For the commander in chief to say, in effect, that the CIA is mistaken does the agency a disservice. Moreover, it disserves the search for the truth behind the slaughter of a U.S. resident who worked as a columnist for the Washington Post. Khashoggi’s final column, in fact, called on Saudi Arabia to exercise tolerance for those who disagree with government policy. It is reasonable to presume that Khashoggi’s insistence on reforming Saudi government policies led to his hideous and ghastly murder. The CIA concluded that the Saudi crown prince ordered Khashoggi’s assassination. The CIA is full of experts who know what they’re doing. The president, meanwhile, is full of delusions about his own instincts. He has chosen to give the Saudi government a pass on what the nation’s intelligence experts say it did to a journalist. If only the president of the United States would take dead aim at the bad guys and quit undermining the good guys’ work on our behalf. OK, Mr. President, you’ve got a problem. Saudi Arabia has denied any involvement in the brutal assassination of a Saudi-born journalist in Istanbul, Turkey. But wait! Now the CIA has determined that the Saudi crown prince, Mohammed bin Salman, ordered the murder of Jamal Khashoggi. What are you going to do about it, Mr. President? You see, the United States has some skin in this game. Khashoggi was a journalist employed by the Washington Post. He was a U.S. resident who wrote columns for the newspaper and, indeed, his final essay called for greater tolerance of political dissent in Saudi Arabia. The crown prince, the de facto ruler of the kingdom, took umbrage at Khashoggi’s view. So he had him killed. Maybe he even ordered the reported dismembering of Khashoggi, torturing him while he was still alive, screaming for his life. How in the world do we let this pass, Mr. President? I wish I could presume you’ll accept the CIA assessment. I mean, you had to be dragged kicking and screaming to endorse the intelligence community’s assessment that Russia attacked our electoral system in 2016. But the CIA now is being run by one of your appointees. Gina Haspel is a career spook. She is a first-rate spymaster. Her agency also is among the best intelligence outfits in the world. But you know that already. Right? You need to set aside that top-dollar arms deal the Saudis want done. Those high-performance jet fighters the Saudis ordered ought to be put back in the hangar. The Saudis are bad actors at many levels. Sure, they’re our “allies” in the effort to corral the Islamic Republic of Iran. They are brutal, though, in their handling of political dissent, as Jamal Khashoggi’s hideous fate would attest. The CIA says the crown prince is involved. You, sir, need to act. Donald Trump has been a bit slow to speak publicly and angrily about what happened to a U.S. resident who died a gruesome death at the hands of Saudi Arabia agents. However, the president has declared his belief that the Saudis are lying and are being “deceitful” about the circumstances surrounding journalist Jamal Khashoggi’s death. What’s next? Sanctions, perhaps? Might there be a rethinking of that $100 billion arms deal that’s pending with the Saudis? An expulsion of Saudi diplomats from the United States? Khashoggi, a columnist for The Washington Post, was killed in the Saudi consulate in Istanbul. He reportedly was chopped to pieces, while still alive. The Turks vow to reveal the “naked truth” into what happened to this man. As for the Saudis, they have been playing a game of “cover my a**” with the United States and the rest of the world. Donald Trump is beginning to turn the jets up under the Saudis’ backside. He must continue. He must ratchet it up even more. He must demand in the strongest terms possible that the Saudis explain what happened to Khashoggi and stop looking for lame alibis. 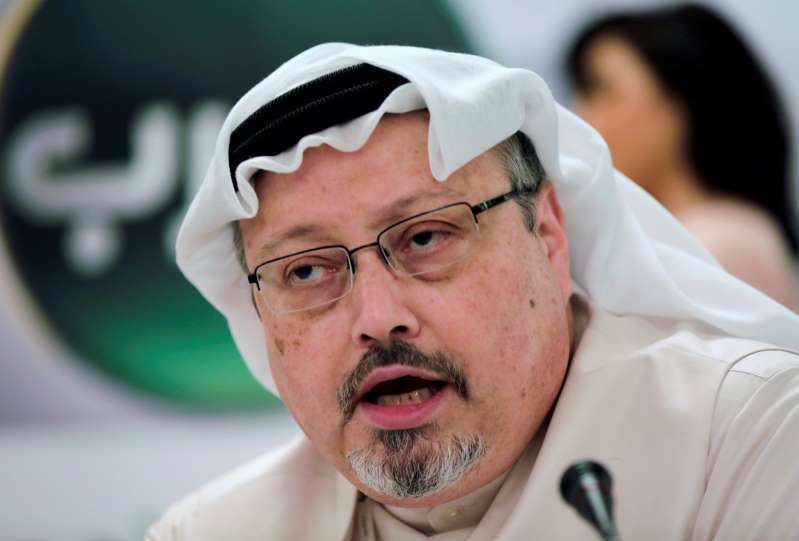 And he must take up the cudgel for the message Khashoggi was trying to deliver: that the Arab world must allow for more freedom of expression, a noble cause that tragically appears to have cost him his life. Welcome to the fight, Mr. President. Saudi prince, family: great unifiers? Jamal Khashoggi’s hideous murder has done something quite remarkable in the United States of America. It has produced bipartisan condemnation of the brutality of the act and demands that the Donald Trump administration do something significant to respond to Saudi Arabia’s governmental sanctioning of the Khashoggi’s murder. 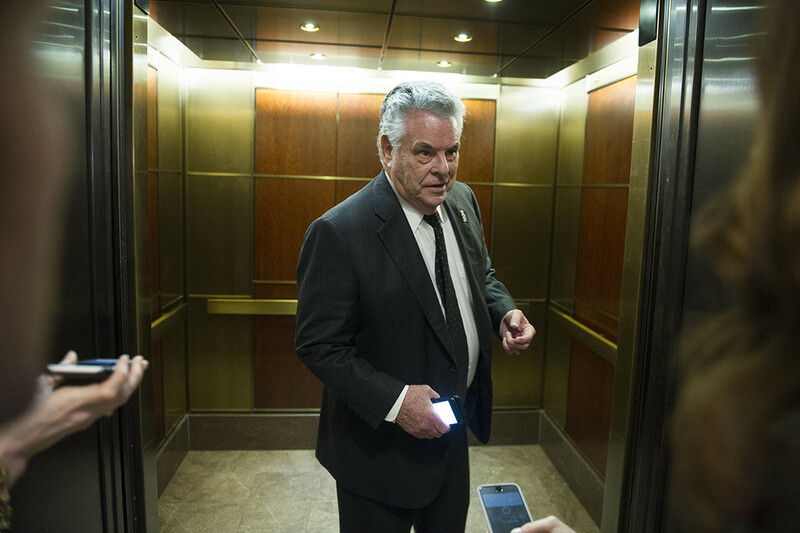 U.S. Rep. Peter King, a New York Republican, told ABC News today that the U.S. government cannot stand by and accept the “savagery” that occurred inside the Saudi consulate in Istanbul, Turkey, where Khashoggi reportedly was cut to pieces — while he was still alive! — before he died. The Saudis have offered lame excuses, backed away from one so-called “explanation” and have settled on saying that Khashoggi died in a fistfight at the consulate. 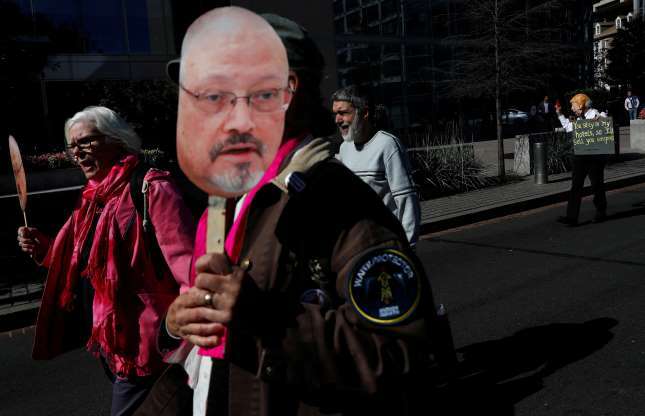 Khashoggi was a U.S. resident; he was a columnist for the Washington Post. Indeed, his final column discussed the need for free expression in his home country, Saudi Arabia, and the rest of the Middle East. What might be a “significant” gesture in response to the Saudis’ savagery? Here’s a thought: Send the Saudi Arabia ambassador to the United States home until his government provides a full, comprehensive and transparent finding on what happened to Khashoggi. What’s more, the Saudis need to provide proof that they are taking serious punitive measures against those who have been accused of this heinous deed. Democrats and Republicans now are speaking with a single voice on this. The issue now is for Donald Trump, the nation’s top Republican politician, to heed their calls for a tough response and a full-throated condemnation against this kind of attack on a U.S. resident. Whether the president delivers on all of that remains to be seen. I am one American who remains skeptical that Donald Trump is capable of offering this level of outrage. 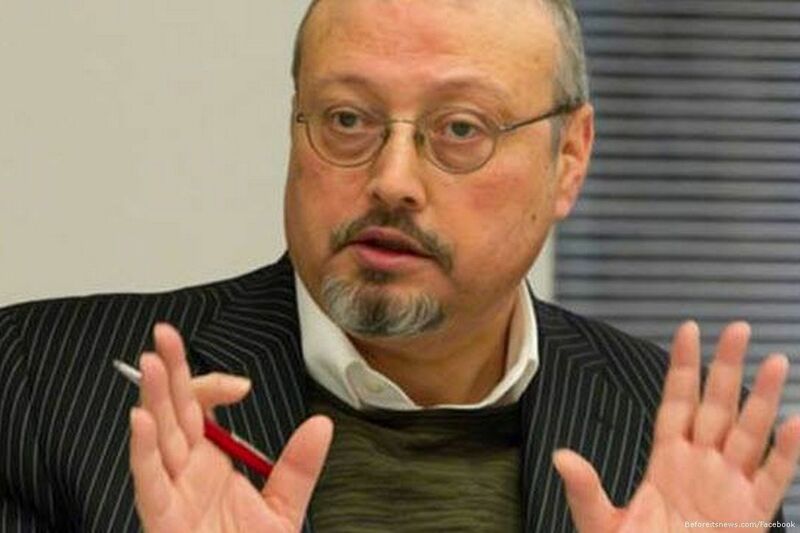 Jamal Khashoggi, the Saudi journalist who lived in the United States and worked for the Washington Post, died a gruesome death in the Saudi consulate in Istanbul, Turkey. His captors began cutting him apart as he screamed for his life. They dismembered his body and took it … somewhere. A U.S. journalist dies at the hands of murderers from a country ruled by a mega-rich family. And the president of the United States cannot find the words to declare his abject horror at what happened to this man? Donald J. Trump continues to sidle up to authoritarians. We have Russia. There is North Korea. Or the Philippines. Trump cannot condemn these rulers for the hideous acts that occur under their rule? So it is now with Saudi Arabia, an ostensible ally of the United States of America. Let’s remember, though, that 15 of the 19 terrorists who attacked us on 9/11 came from Saudi Arabia. Sure, Trump has declared the “event” in the consulate to be “awful” and “unacceptable,” but then he buys into the Saudi government’s lame explanation that Khashoggi died in a fistfight with his captors. Are we to believe that these monsters then dumped his body somewhere, anywhere after a fistfight? How the U.S. president can accept this phony explanation is stupidly mind-numbing in the extreme.